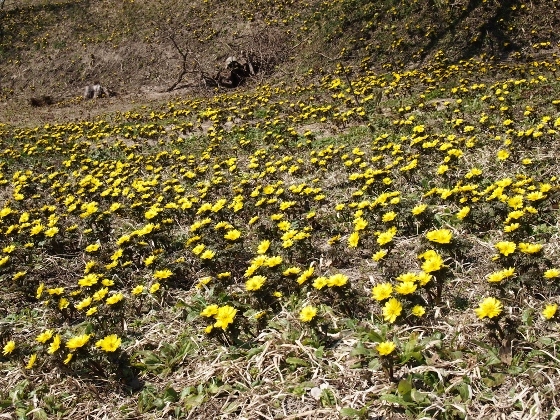 Today I pedaled north and visited Numanodaira hill at which large group of Amur Adonis were blooming in a very large scale. 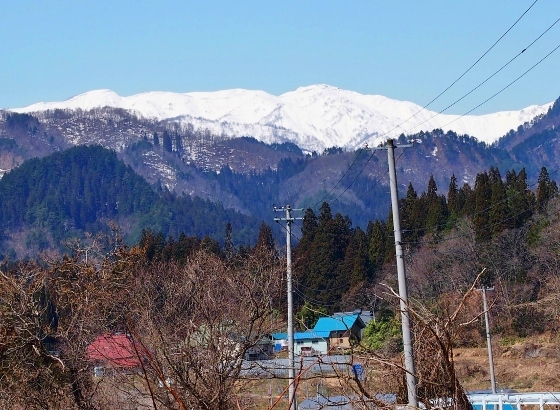 Then I went further north watching snowcapped beautiful Iide Mountain Range in a clear sky and stayed at Iidenoyu Inn. 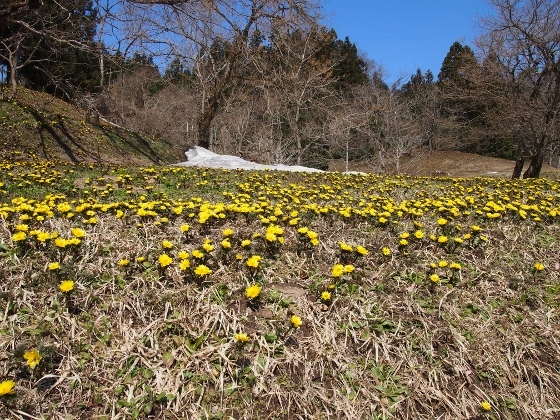 Numanodaira was on a hill of Yamatomachi area of Kitakata City and one of the largest groups of Amur Adonis could be seen here in Japan. Please refer to the red asterisk 2 on the map for the location. 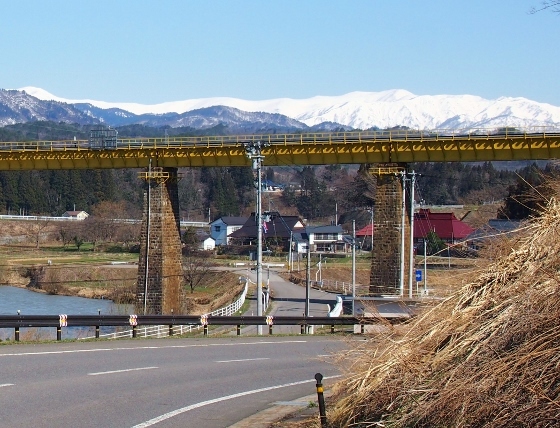 On the way to Numanodaira I found the famous viewing spot of Ichinotogawa Railway Bridge with the background of Iide Mountain Range. The location was the red asterisk 1 on the map. 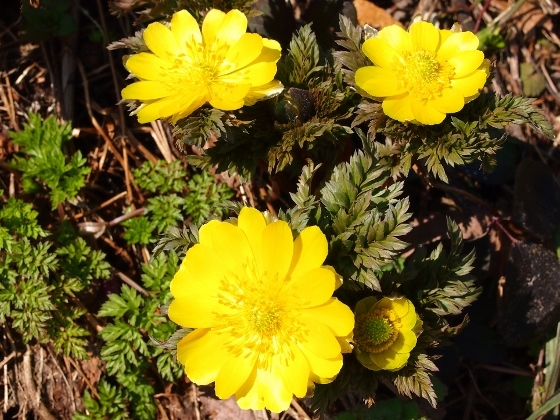 Today it was a clear day in the morning and yellow flowers of Amur adonis (Japanese name was Fukujuso) were fully open as shown in the pictures above. 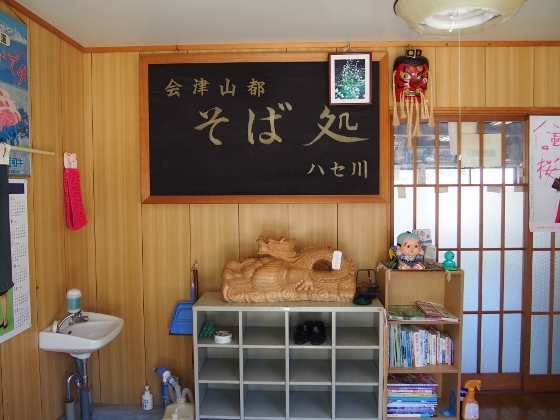 Special Festival of Fukujuso is open till mid-April. 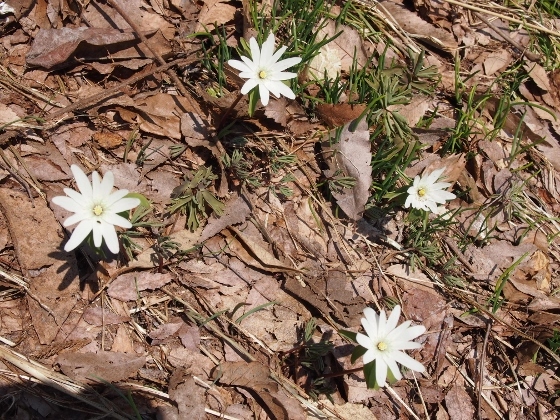 All the flowers of amur adonis were fully open as if spring of Aizu was a long time coming. 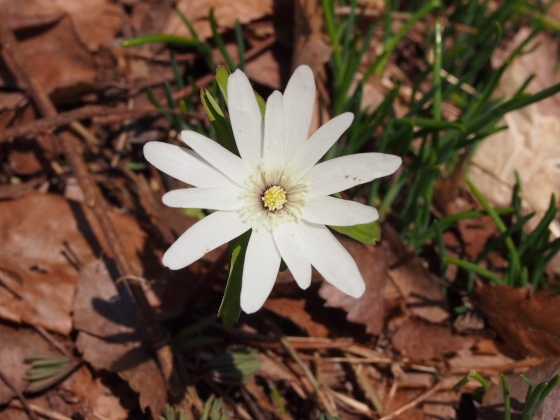 I could find other spring flowers starting to bloom. 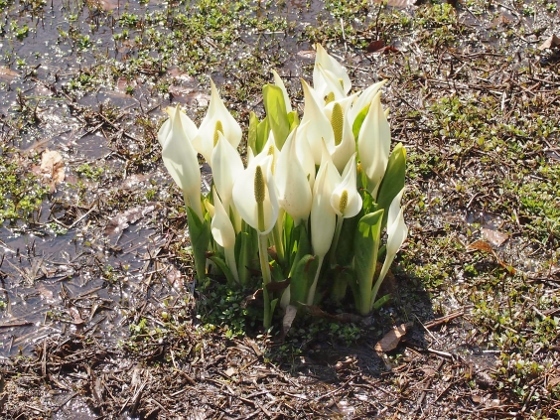 Above pictures show white flowers of Azumaichige. 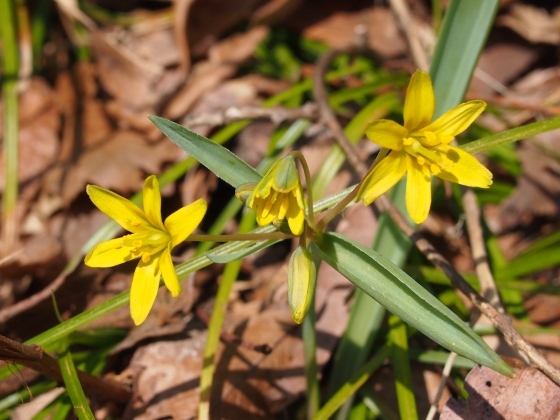 Above photo shows yellow flowers of Kibananoamana. There were skunk cabbages too. 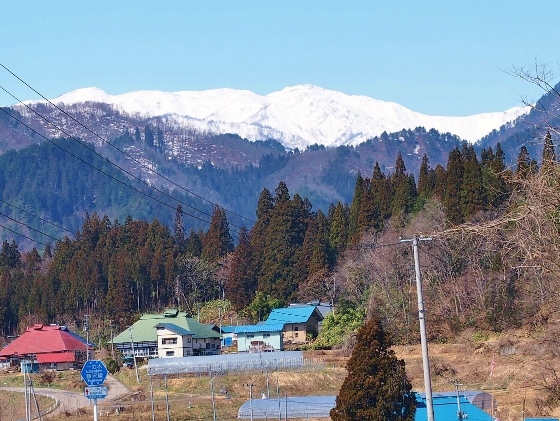 Then on the way to Iidenoyu Inn I could see beautiful snowcapped Iide Mountain Range again. The location was red asterisk 3 on the map. 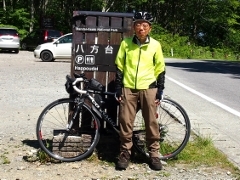 Then I pedaled further north for a while and arrived at Ichinoki village at which several soba restaurants gathered which served Yamato Soba. I had a lunch of Yamato Soba at one of the soba restaurant called Hasegawa. 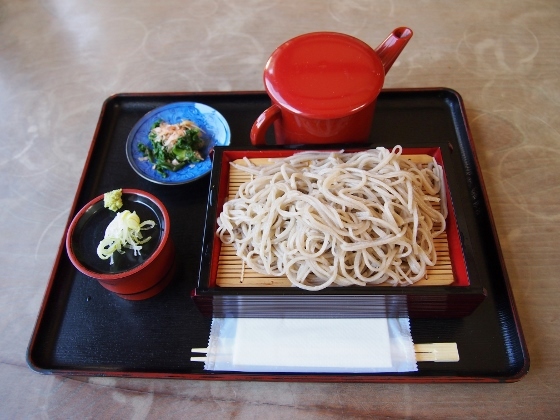 The soba made of 100% soba flour was really good. The location was red asterisk 4 on the map. 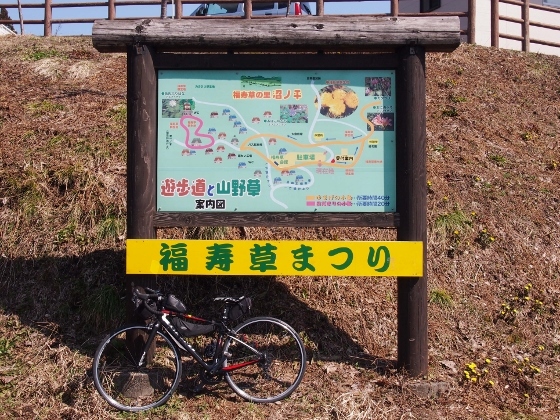 After the lunch I pedaled further north towards Kawairi village: however the road was under restoration work and I had to give up. Tonight I stayed at Iidenoyu Inn which was located in mountainous area of Yamatomachi at Kitakata City. It was a public inn with bot spring. 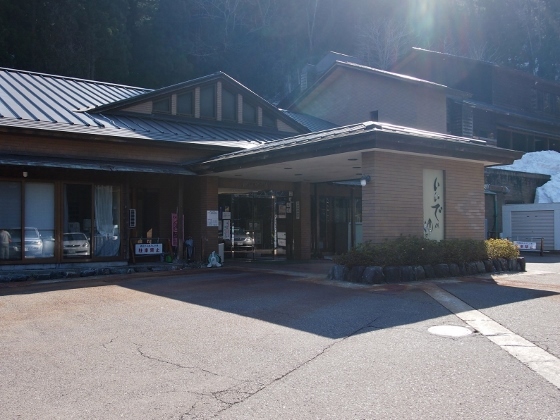 This hot spring was called Ichinoki Onsen which was chloride and sulfate spring. The charge was reasonable and the meal was good. 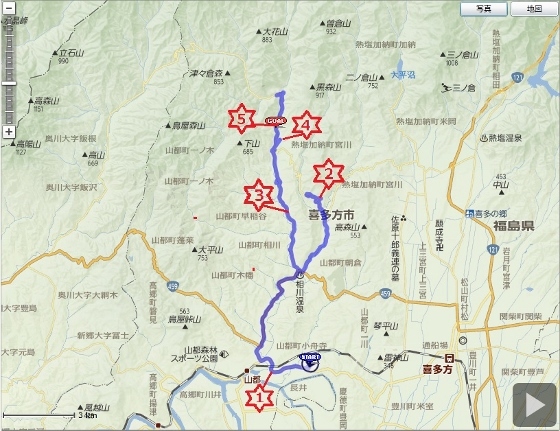 The location was shown as red asterisk 5 in the map.